If all goes as planned, dozens of self-storage facilities built out of repurposed shipping containers will be surfacing around the country with backing from a Texas startup and a growing number of investors. 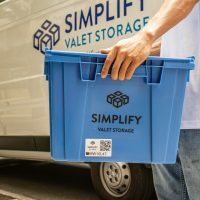 Houston, TX-based startup GreenSpace Holdings LLC already has a commitment from a high-net-worth investment group to develop an estimated 50 multistory self-storage facilities over the next eight years — “as long as the economy will support that,” said David Ledoux, co-owner of GreenSpace. 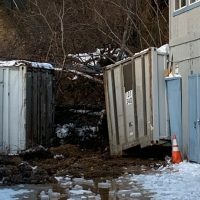 While the facilities will be built using shipping containers, they won’t look like a cargo ship washed up on Main and Main. GreenSpace’s facilities will be aesthetically similar to competing properties. 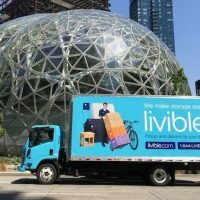 Ledoux said his company’s final product will be indistinguishable from any other Class A self-storage facility — except when a customer rolls up the door of a unit and spots corrugated shipping-container metal inside. Traditional materials like concrete masonry, glass, stone and stucco will accentuate the exterior. “One of the things that’s unique about our design, and what no one else is doing, is that when we finish a facility, if you’re walking along the outside or walking in the hallways, you’ll never see any single piece of a shipping container,” Ledoux said. One of two facilities GreenSpace is building first, this on on Brittmoore Road in Houston. Aside from the unidentified high-net-worth investment group previously mentioned, other investors are involved in the two facilities that GreenSpace has underway in the Houston, TX, area, Ledoux said. 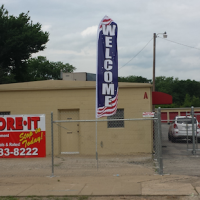 Memphis, TN-based self-storage lending REIT Jernigan Capital Inc. is financing one of those facilities and is discussing other projects with GreenSpace, according to Ledoux. In addition, a private equity firm in Houston is interested in teaming up with GreenSpace on another 20 or 30 multistory facilities, Ledoux said. GreenSpace didn’t reveal the firm’s identity. Under that partnership, the site for the first facility already has been purchased, GreenSpace co-owner Rick Stockton said, and the second facility will be on a site in the same metro area. He declined to name the metro area. 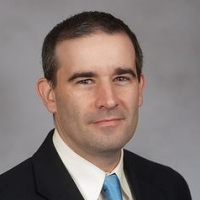 Stockton said the private equity firm is “definitely on board” with the first two facilities, which he indicated will serve as a “gateway” to the other facilities. All told, GreenSpace is tentatively plotting development of roughly 80 facilities within the next decade. Each of the projects will be a “really nice-looking” three-story Class A facility on about 2.5 acres, Stockton said. Aside from the Houston area, GreenSpace is scouting regions like Austin and San Antonio, TX; Boston, MA; Miami, FL; Portland, OR; and San Diego, CA, for potential development sites. 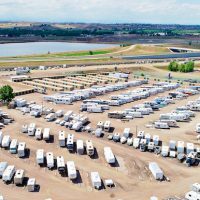 “Anywhere that self-storage is needed, we can build, as long as it’s done properly,” Stockton told The SpareFoot Storage Beat. Beyond putting up its own facilities, GreenSpace plans to license its patent-pending construction technology to other self-storage developers. 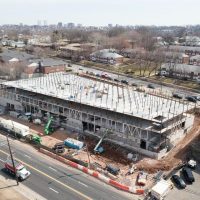 Most of the facilities developed by GreenSpace will be held as long-term investments, Stockton said, while some will be flipped at the certificate-of-occupancy stage. GreenSpace recently broke ground on its first facility in Pearland, TX. 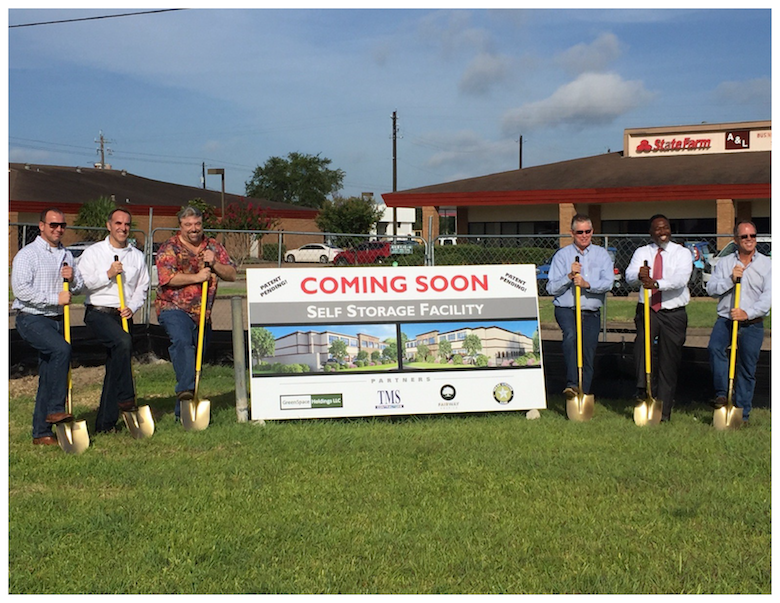 GreenSpace broke ground on the Pearland facility, at 2515 Westminster Road, in July 2017. The facility will feature 95,565 square feet and a little over 1,000 units on a 2-acre site. 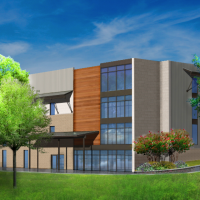 Completion of the Pearland facility is set for this April or May. The Pearland facility is thought to be the first self-storage facility in the world that’ll be made of shipping containers. In December 2017, GreenSpace broke ground on the Houston facility. The 132,967-square-foot facility, on a 2-acre site at 1050 Brittmoore Road, will contain 1,400 units. The Houston facility is scheduled for completion this August. 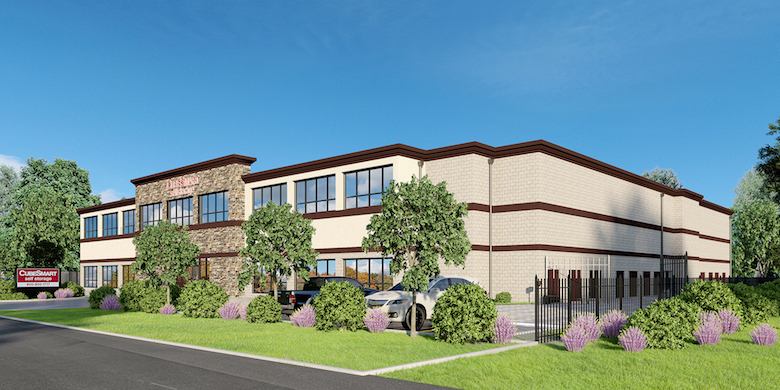 Malvern, PA-based self-storage REIT will be the third-party manager for the first two GreenSpace facilities. The two facilities that CubeSmart will operate are in Houston and the Houston suburb of Pearland, TX. What makes GreenSpace’s facilities stand out from others is, of course, the patent-pending approach to developing them. Ledoux and Stockton said their shipping-container design reduces the cost of building multistory self-storage projects by as much as 50 percent and slashes the construction timetable by four to six months. In addition, they said, their model decreases the occupancy level needed to reach the breakeven point by about 45 percent. Stockton said all of the containers being purchased by GreenSpace were used at one point to carry cargo on ships. 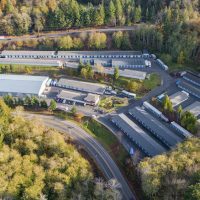 Since it takes about 200 to 300 shipping containers to build one self-storage facility, GreenSpace could end up recycling more than 24,000 shipping containers if it proceeds with development of 80 facilities. The Pearland facility is being built with about 320 surplus shipping containers. 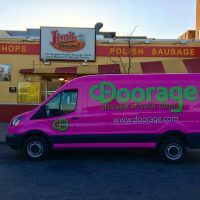 GreenSpace says reuse of shipping containers lowers demand for electricity during the manufacturing of building materials and the self-storage construction process, and reduces carbon dioxide emissions. 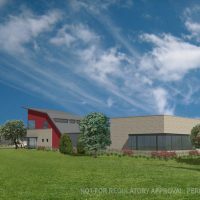 During construction of the Pearland facility, the environmentally friendly shipping-container process will save enough electricity to power an estimated 527 homes for one year and cut carbon dioxide emissions by 660 tons, Ledoux said. Ledoux pointed out that using surplus shipping containers for self-storage construction eliminates the need for extra structural steel for walls and roofing, and the need to pour concrete for the foundation, second floor and third floor. 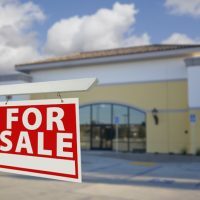 Nationally, the average cost for construction of a multistory self-storage facility is $75 per square foot, according to Ledoux. By comparison, he said, GreenSpace’s first two facilities are coming in at an average construction cost of nearly $48 per square foot. And Stockton is working on tweaks that could bring down the per-square-foot cost by another $5. 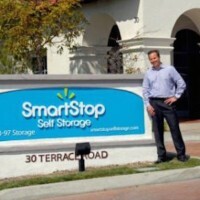 Stockton said that if self-storage development capital were to dry up, the cost savings enabled thanks to GreenSpace’s technology will make it easier to secure financing for projects. “You’re reducing the lender risk. 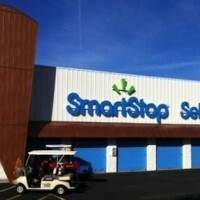 The loan-to-value ratio is going to be much less on our stores than it is on other stores,” Stockton said.